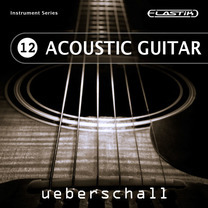 Ueberschall presents Acoustic Guitar, the perfect loop collection for songwriters and music producers. Each phrase has been performed three times using different acoustic guitars with instruments made by Martin, Yamaha and Ibanez. Each of the 464 loops has been recorded carefully using selected, high quality equipment. 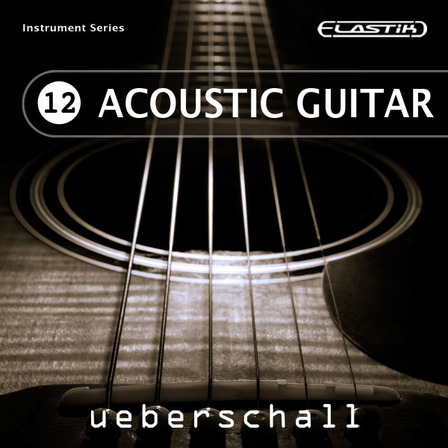 Ueberschall presents Acoustic Guitar, the perfect loop collection for songwriters and music producers. 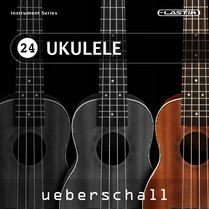 This Elastik sound bank is part of Ueberschalls Instrument Series and dedicated to the acoustic guitar. 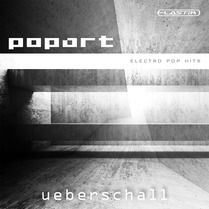 The library contains 464 painstakingly produced acoustic guitar loops. Each phrase has been performed three times using different acoustic guitars with instruments made by Martin, Yamaha and Ibanez. Each of the 464 loops has been recorded carefully using selected, high quality equipment. 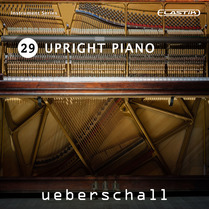 To add flexibility, all loops are available in unaltered versions without equalization and compression. For immediate use, the sound bank not only contains dry versions of any loop but also mastered versions. In this mixdown, guitar 1 has been panned left, guitar 2 fully to the right and guitar 3 to the middle. The individual loops were not repeated identically. Therefore, they can be used to complement each other rhythmically and dynamically, resulting in an extreme wide but 100% mono-compatible sound. Each loop was produced, to be possibly integrated into different song structures. Thereby the loops mainly focus on unobtrusive and accompanying phrases as opposed to virtuous licks. The individual phrases can easily be matched to your productions using Elastik Player, regardless of working on music productions, web applications, video- or game sound. The loops are four or eight bars in length and can be freely combined in tempo and key. In addition, the Elastik loop player allows adapting the guitar loops to your current song project in speed and pitch. 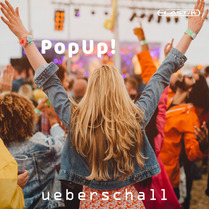 Ueberschalls Elastik-Player is the perfect tool for loop-based music production. The intuitive browser commonly manages all Elastik libraries for immediate access to all loops. This way, not only loops of a single library can be combined freely but across all installed Elastik libraries. Note: The drums being used in the audio demo are not part of the library. They simple demonstate possible applications for the library‘s licks.